Hello, and welcome to your first steps in learning to fly fish! My Name is James, and I have been fly fishing since I was 8 years old (35 years ago) I have a vast fly fishing and casting experience ranging from the remote hill lochs of Scotland fly fishing for truly wild Brown Trout, Scottish rivers catching the mighty Atlantic Salmon, to my "back door" the stillwaters and reservoirs of the midlands including Pitsford water, Grafham, Rutland, Elinor, Ravensthorpe, Draycote and Ringstead Grange. Indeed I was the manager and water bailiff at Ringstead Grange about 16 years ago. I studied at Inverness College in the early 1990's and hold a Scotvec Diploma (Distinction) in Aquaculture and fish farm management, and am an associate member of the GAIA (Game Angling Instructors Association) and also a tackle tester for Fishing Republic Plc and Yorkshire Game Angling. I am self taught, learning the hard way but you don’t have to waste years learning to fly fish I can teach you to fly cast and fast track you to one of the most rewarding sports possible. I specialise in teaching beginners to fly fish, everything from fly casting lessons, fly selection, finding the fish and playing and landing a trout, Carp or Pike. Have a read through the site and if you have any questions or would like to book some tuition just let me know. In the meantime Tight Lines! 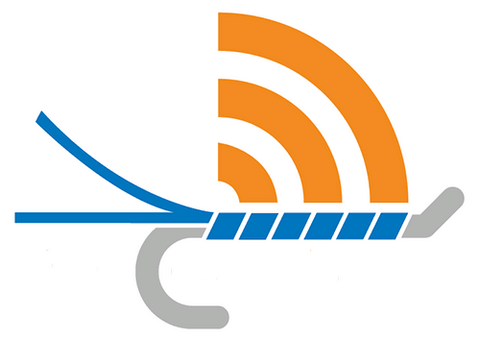 Please have a look at my genuine testimonials here. Looking for a birthday fly fishing gift for the person that has everything? 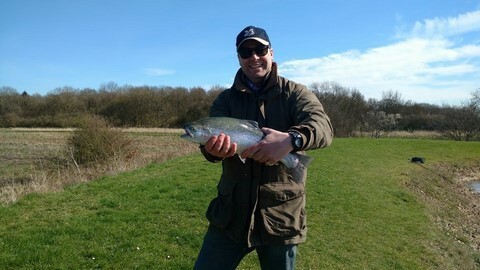 I offer fly fishing lessons / experience gift vouchers, valid for 1 year, contact me for details. I always appreciate feedback after a fly fishing lesson, have a read through what some of my customers think about their day out. 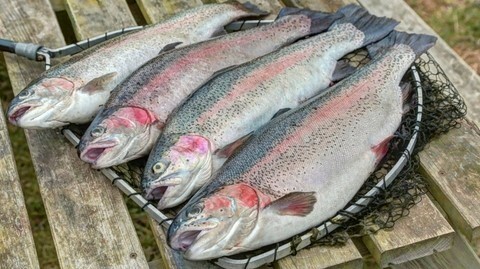 I have taken Rainbow Trout to 14lb (fishery record), Salmon to 25lb, Sea Trout to 14lb and wild Brown Trout to 8lb. I live, eat and breath fly fishing! My Fly fishing for beginners course covers all the basics from tackle explanation and selection, basic fly casting, fly selection, how to find the trout, to how to play and land the fish. I also offer a novice / improver course for those that have already started fly fishing and want to improve their casting or learn advanced fly fishing methods. Available at multiple stillwaters across Northants, Bedfordshire, Cambridgeshire and Buckinghamshire. All tackle supplied for free. For a maximum of two people at a time if you want to bring a friend or relative otherwise its one on one tuition, 7 days a week from Feburary to November. I provide corporate fly fishing days for your most important clients / suppliers or key member of staff. Aimed at either beginners or experienced fly fishermen. I provide a high quality picnic lunch and arrange all fishing permits etc. Covering a 50 mile radius from Milton Keynes and a huge number of still waters and reservoirs. I offer the course fisherman a new dimension for catching Pike, Perch, Zander and Carp using the fly rod. The fight you get using this method is amazing as you feel more in touch with the fish and can travel a lot lighter. I have put together some great You Tube videos for your information, everything from fishing knots, gutting and filleting a trout to some great action videos of Trout being caught on the fly! Keep upto date with all things fly fishing, including tips, experiences, tackle and fishery reviews, fishery reports and news news and recipes on my blog. © Copyright theflyfishinginstructor.co.uk All Rights Reserved. 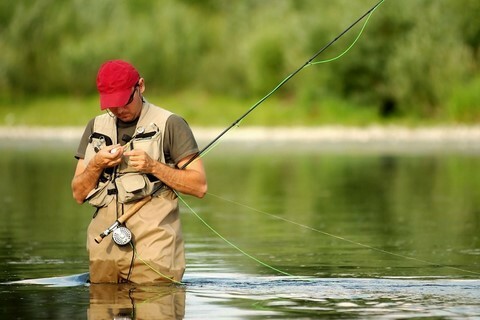 Fly fishing lessons for beginners Beds, Bucks, Northants and Cambs.